MAXIM® Climbing Ropes is proud to offer the exclusive Alex Honnold Series, created together with the famous Alex Honnold. The Alex Honnold Series is made in line with Alex’s goal of getting climbers to shed weight and reach en-light-enment. These ropes are sold exclusively through our partner REI - Recreational Equipment Inc.
>> Get your rope here. Alex Honnold is one of the most famous rock climbers in the world known for his speed and free climbs and continues to impress. MAXIM Climbing Ropes was Alex’s first sponsor and we have been loyal partners ever since. Together with Alex, MAXIM created the Alex Honnold series of dynamic climbing ropes, which composes of a set of light-weight high performance climbing ropes. While Alex is best known for impressive free climbs, those who know him know that he climbs those routes repeatedly with ropes initially. One of Alex’s core beliefs is to teach climbers to climb lighter and faster. The Alex Honnold series is designed to start at a 9.9mm rope, transition down to a 9.5mm rope and eventually down to a 9.1mm rope. This way, climbers lose about 2.2bs (1kg) of rope drag in the process. The rope constructions correspond to the exacting standards of MAXIM’s Pinnacle, Glider and Airliner. Another effort that is near and dear to Alex Honnold’s foundation. The Honnold Foundation envisions a world where all people have equal access to opportunity and live in balance with the environment. They believe in solar as a proven, environmentally sound solution to global energy poverty, and award grants to bold and ethical organizations driving innovation in the solar industry. A portion of the proceeds from every Alex Honnold Series rope goes directly to the Honnold Foundation. All Alex Honnold series ropes are proudly made in the USA by expert crafts men and women in our Fall River, Massachusetts facility. 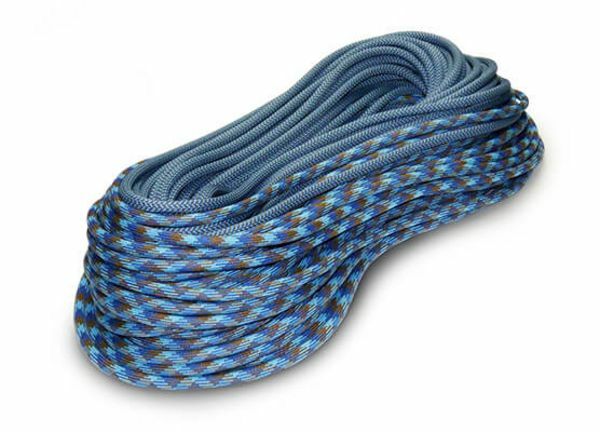 These ropes are sold exclusively through our partner REI - Recreational Equipment Inc. Here you find the REI offer for the Alex Honnold Series.